3) something that would not compete with the candelabra already in place. 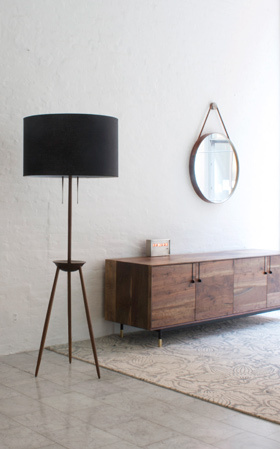 The battle between the two went on for months but I chose the Excel floor lamp because the space should feel more relaxed. It is a unique piece and also quite a conversation starter. If I went for the BDDW, it would have been gorgeous too but likely wouldn't have stood out as much as it is sophisticated yet understated. 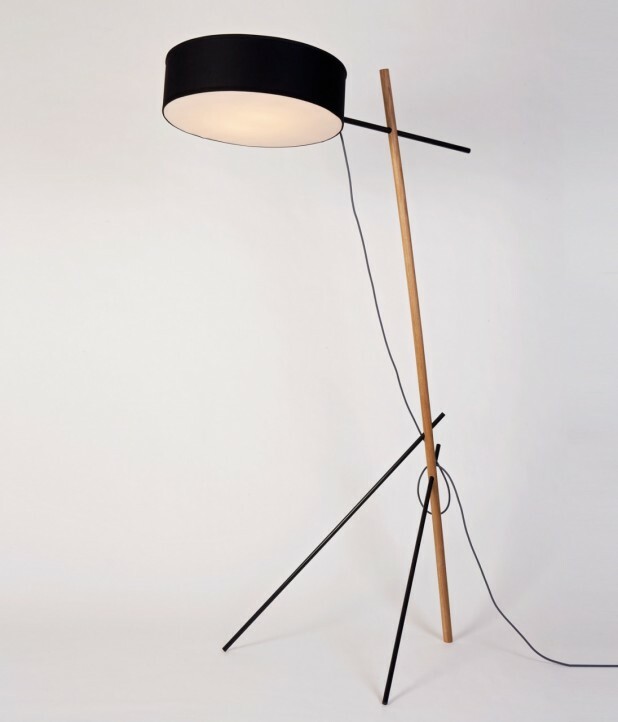 The Excel floor lamp's cantilever drum shade also brought more light to the centre of the room. At the end I am super happy with this purchase and it will be something I continue to love whenever I see it. Can you put pictures of your new lamp in the environment. I am too thinking of buying one for my living room. This would greatly help to make a decision. You see... I am not rich but I love design. So since the lamp isn't exactly cheap I want to be 100% sure of it before I purchase. My home was recently featured in Style at Home magazine and there's a picture of the light in the living room. Here is the link http://www.styleathome.com/homes/interiors/a-modern-townhome/a/41223/3 and you can see our place there. OMG! Thank You!!! You have really good taste and a beautiful home! Can you tell me what sofa is that one in your living room, it's so pretty!!! By the way, how do you find your lamp??? Does it feel like it is very well constructed??? It looks so delicate, like it isn't sturdy enough... but I think that is what makes it look even more appealing to me. Thank you for the kind words. I am always happy to hear positive responses from the online community. The sofa is the Feel Good by Flexform. The lamp is great and we still love it. It is very sturdy yet appears light and delicate. No problems with the construction at all. The only issue we have with it is that during certain spring and fall months, our city gets these small insects. Because the drum has a tiny opening at the top circumference, many of those small insects would fly in die and we have to clean it. But this will be the case with any drum pendant that has a closed bottom in order to cast a diffused light. Best of luck in your lighting search!